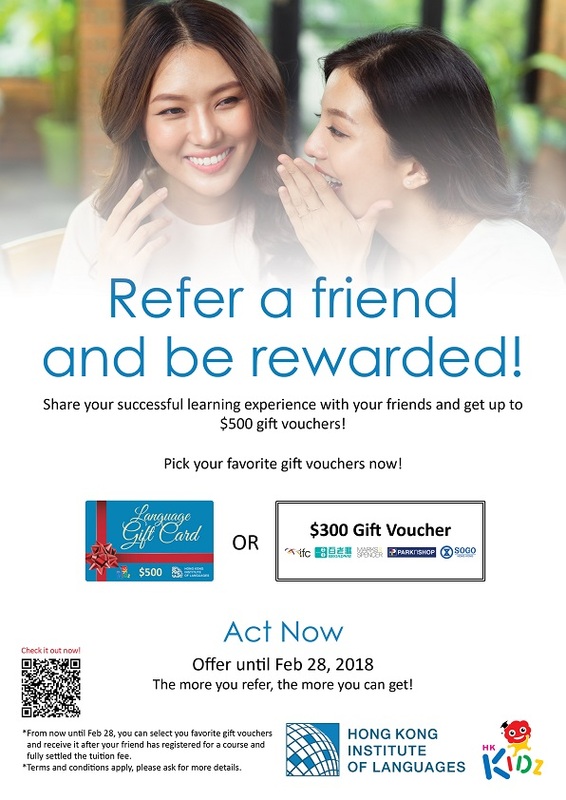 Share your child's learning experience with other parents and get up to $500 gift vouchers. Select your favorite gift vouchers from HKIL for discount on courses or a list of popular shopping malls and enjoy your holiday shopping! The more you refer, the more you can get! *Terms and conditions apply. Ask your Education Consultant for more details or click here to submit information.